Here at homify we love touring dwellings that act in a timeless and age-defiant manner. Too many properties these days are built without any consideration for longevity. Because of this they often age poorly and don't offer their occupants an enduring home to cherish for years to come. Luckily today's house is wonderfully designed and decorated to stand the test of time. Brought to us via the architects at Homekoncept, this residence is impressive, modern and a little bit fancy. 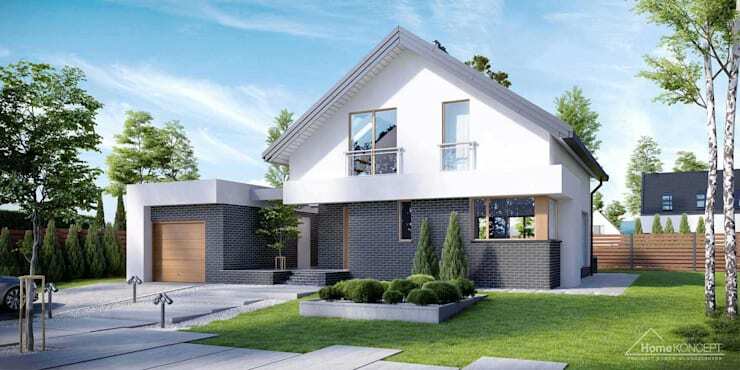 To give you a good idea of the structure and layout of this compact yet beautiful home, we've included the floor plans. In them you'll see exactly how the designers have maintained flow and cohesion throughout, while boosting functionality and unity. Well don't take our word for it, read on below and see what you think! As we first set our eyes upon this home, we know it's going to be something special. With more than enough space for the modern family this property is elegant, replete with a fresh take on tradition. Set within lush surrounds, the curb appeal of this dwelling is definitely immense. If you want to stand out from the crowd, while still paying homage to traditional architecture then this is your house! In fact, the structure has managed to take elements from more historic homes, while juxtaposing them with modern finishes and architectural lines. This space is made for the avid entertainer. Boasting large tiled terraces, the exterior is a sight to behold. Immaculate finishes and an astute attention-to-detail keep this dwelling at the top of its game style-wise, in addition to a range of timber-clad sections that add an earthy and organic aesthetic. Do you like the pristine landscaping? We're sure the designers of this garden space were well aware of how to create a functional outdoor area, as this design truly shines. Would you like to check out the floor plans? Let's take a peek below! 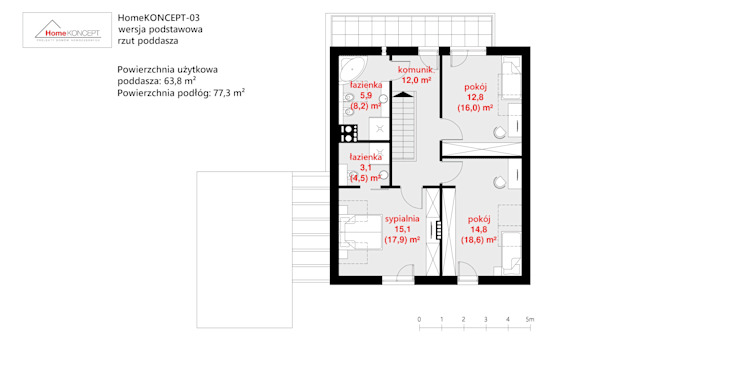 The house is rather compact, with a total area of 136 square metres that is distributed over two floors. 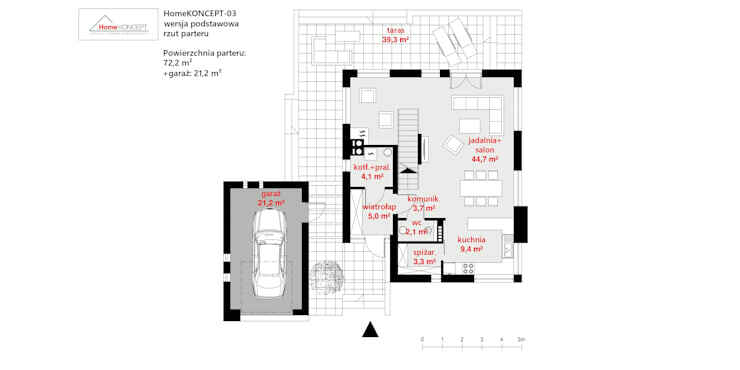 There is also a single car garage that adds an extra 21 square metres. This could easily be utilised as an additional rumpus or living space if need be. Some standout features include the huge walk-in pantry and open plan layout. This is certainly a well thought out dwelling, which takes a compact layout and lets its occupants live big! Upstairs the layout is simple and effective. There is a large communal bathroom that services the two large bedrooms, while the master suite boasts its own compact wash space. There is also a shared terrace that can be utilised by everyone, and is offered great views over the back garden and patio below. The bright living room is definitely a standout space in this home. With combination flooring, the room offers a sense of elegance and refinement, while boosting usability with a low maintenance finish. Furniture is timeless as well, evoking a contemporary Nordic flavour that works beautifully with the range of timber finishes and simplistic yet gorgoues features. The designers and architects have included this cosy nook next to the living space to ensure everyone in the family has somewhere comfy to relax and unwind. 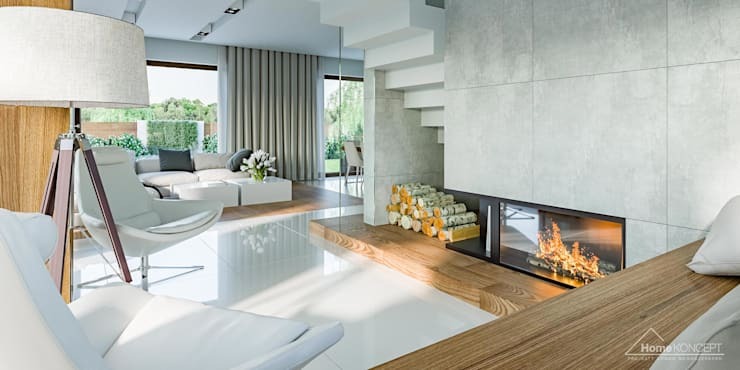 Utilising the under-stair space, the firewood has a perfect storage area that doesn't impede or intrude on the other clean, minimalist spaces in the house. Warming and wonderfully inviting, this setup definitely softens some of the room's harder edges and high gloss surfaces. 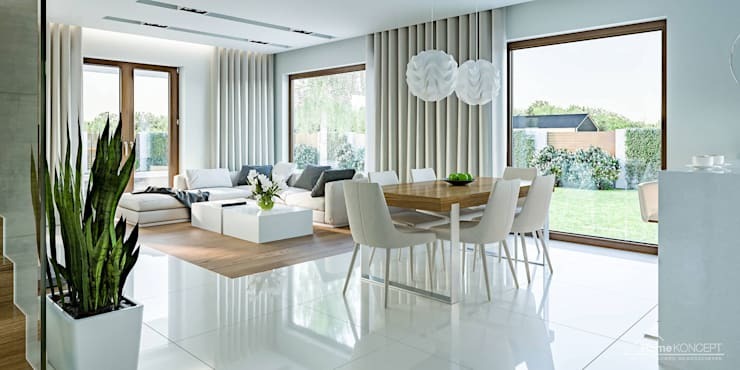 Taking a look at the dining area we realise how much natural light actually enters the home through those large almost floor to ceiling windows. The interior is so brilliantly bright that the space is ideal for entertaining, and the expansive dining room is truly the place to start. With suspended light fittings and plenty of room to move, the entire area offers seating for at least 6 individuals, with the potential to include a much larger setting if desired. 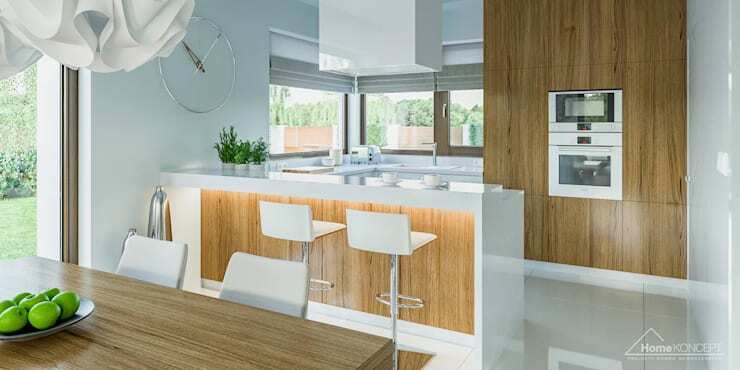 The contemporary kitchen is definitely a highlight in this home, and boasts a U-shaped setup that is decked out in the finest accessories, fittings and fixtures. Predominantly white, the timber cladding assists in feeling welcoming and warm, once again working as a contrast to the sleek angles and high gloss white finishes. 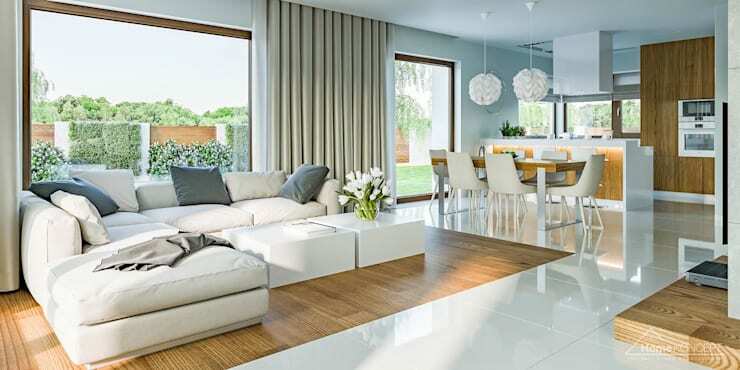 Would this home suit your family's needs? Let us know below!